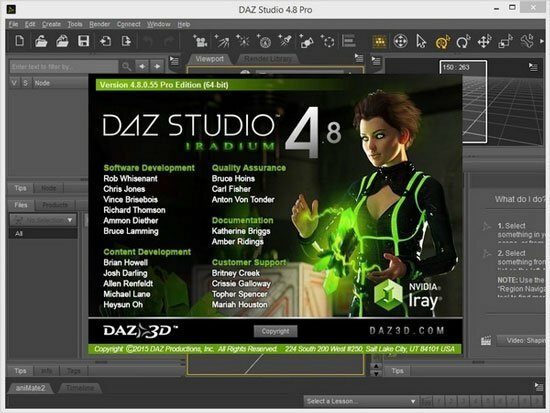 DAZ Studio Pro v4.8.0.55 + Extra Addons » 3Ds Portal - CG Resources for Artists! Fixed a consistency issue with [geometric] normal direction; NVIDIA Iray vs 3Delight. Reworked NVIDIA Iray Advanced Render Settings; Hardware; Canvases - Light Path Expressions (LPE); prepare for additional pages. Added support for light categories to light nodes; 3Delight. Added Decay and Intensity Scale controls to default spot and point lights; 3Delight.